A Foundation Trust Hospital was bidding to host regional specialist vascular surgery and radiotherapy services. This was part of a national program to centralise specialist services in a smaller number of sites to improve care. Established a cross functional team with medical and allied health care workers for each bid to provide a hospital wide approach. The clinical staff led the bids and also led the service redesign work afterward to improve the care provided. 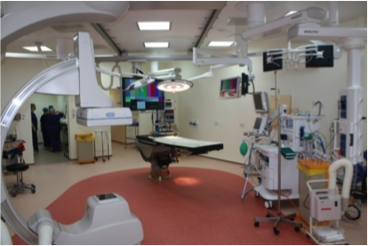 Both bids were successful, a new operating theatre with state of the art equipment was built and a new multi million pound radiotherapy building was constructed using accumulated Trust financial surpluses.